In World of Warcraft Patch 6.2, we're introducing a new series of seven different weekend events, and two of the seven weekends will make Timewalking Dungeons available to characters at level 71 and higher for Outland dungeons or 81 and higher for Northrend dungeons. 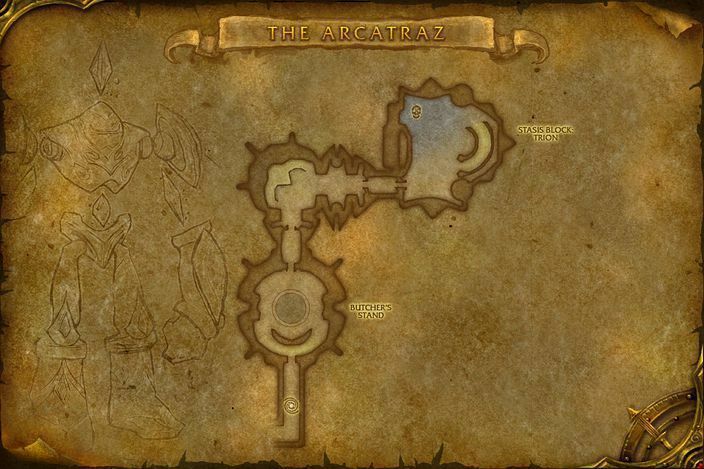 When you Timewalk these dungeons, you’ll find that your character’s power and gear has been scaled down to a fraction of what they normally are, and you may have never ventured into some (or all) of them, so it's a good idea to prepare yourself now. With Outland serving as the strategic battlefront in the ongoing Burning Crusade, the naaru recently used Tempest Keep to reach the shattered land. However, when the naaru set out from their stronghold, Prince Kael'thas and his blood elves quickly raided the dimensional fortress and assumed control over its satellite structures. Now, guided by some unknown purpose, Kael'thas manipulates the keep's otherworldly technologies, using them to harness the chaotic energies of the Netherstorm itself. Most creatures from the Twisting Nether require constant directions from their masters, but a select few voidwraiths need no such orders. Zereketh stands at the entrance to Arcatraz, ready to slay all who would dare challenge him. Before she was imprisoned by the naaru, Dalliah was one of the most vicious and aggressive warriors within the Burning Legion. Spending so much time as a cellmate to Wrath-Scryer Soccothrates did not improve her disposition either. Millennia ago, Soccothrates held a position of honor among the Wrathguards, standing at the side of the Burning Legion's top commanders. Confinement did not suit his considerable ego. Neither did his cellmate. The naaru believed the persuasive voice of Harbinger Skyriss was silenced when they contained him and forced him into a long, dreamless sleep. The unfortunate warden of Arcatraz learned the naaru were wrong. Zereketh is known for summoning void zones. Run out of them immediately! Zereketh's Seed of Corruption causes his victim to explode with damage. It's best to stand apart when you're the seedy one. Dalliah's Whirlwind should be avoided by all but the stoutest of tanks. Her Gift of the Doomsayer channels healing to you if you have it. Healers beware! Stay out of Soccothrates' fel fire. The one and only Millhouse Manastorm assists you in your battle with Harbinger Skyriss and his many "friends". Keep Millhouse alive. 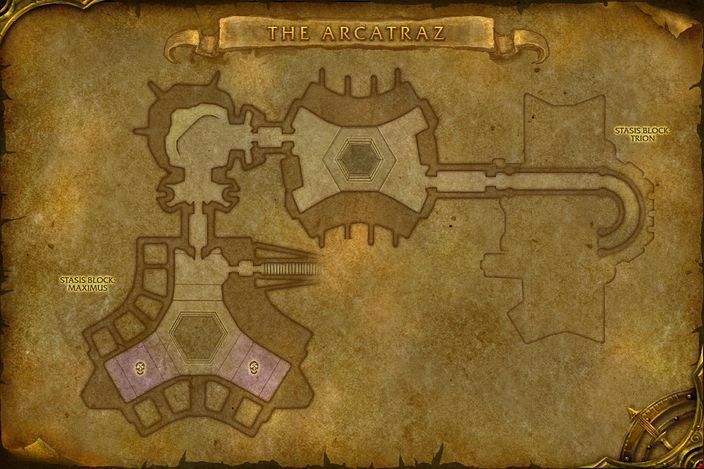 If you’ve not gotten them before, completing this dungeon will award The Arcatraz and Heroic: The Arcatraz , the latter of which is required for Outland Dungeon Hero. Killing enemies in this dungeon increases your standing with The Sha’tar. 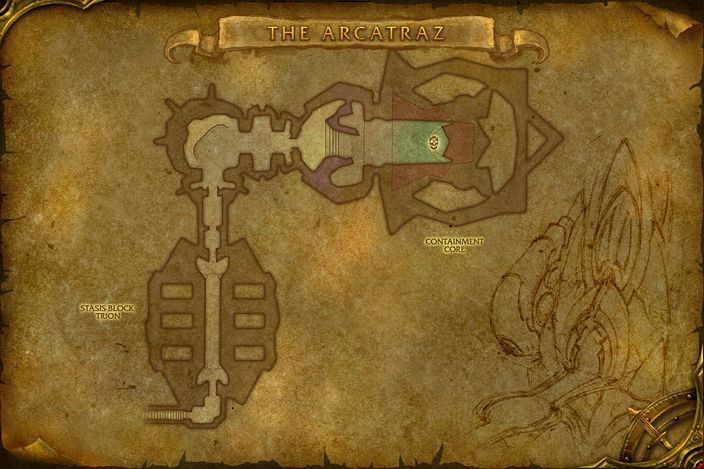 For a full breakdown of what you can do with Sha’tar reputation, check out Wowhead and Wowpedia. Timewalking dungeons are coming to WoW with Patch 6.2: Fury of Hellfire. Keep an eye out for the weekend-only quest "A Burning Path Through Time", which rewards a Seal of Inevitable Fate when you complete five Burning Crusade Timewalking dungeons.